The Faculty of Arts welcomes recipients of various Australia Award Scholarships (AAS) provided by the Australian Government for international students. Read about the AAS approved programs and support services available. You can read more about individual programs on the Graduate School of Humanities and Social Sciences Degrees web page or via the University's Handbook. Please note: Not at all of these programs are approved for every country. You will need to check the country-specific eligibility criteria and priority areas for development on the Australian Government Participating countries web page. For more information please visit the Melbourne Scholarships Australia Awards website. You may also be eligible to apply for Endeavour Scholarships and Fellowships. For more information please see the Department of Education and Training International Education Online website. Ikarini (Master of Development Studies graduate 2012) started working on Development projects in Indonesia with her background in Psychology, but found completing her Masters at Melbourne gave her more specialist skills to move her career forward. "Currently I am working as Project officer (Monitoring and evaluation specialist) at Humanitarian Benchmark. It is a consulting agency in humanitarian work. Before this, I used to work as Design, Monitoring and Evaluation Coordinator at Search for Common Ground. My main task was monitoring the project activities and also evaluating." What did you enjoy most about studying at The University of Melbourne? "Student life in Melbourne was amazing. The University of Melbourne provides high technology facilities to increase students' learning experience. 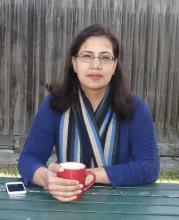 It has lots of social clubs that helped me to overcome feeling home sick while I was studying in Melbourne." After studying Economics and Law, Thi Thu Ha gained work experience in the Department of General Affairs, Office of the National Assembly of Vietnam. She hopes the skills she gains will advance her career and also enable her to implement reforms to improve the performance of government organizations. Thi Thu Ha commenced her Masters in 2013. "In my opinion, studying Public Policy and Management at The University of Melbourne provides me a more comprehensive view of the area. I am learning more new models of governance, public policy design and implementation processes and efficient and effective public organisational management. During my study, I discovered various lessons that can be taken into account and applied into my public sector organisations in Vietnam." Have you got involved with on campus activities? Besides my study, I take part in numerous social activities held by the University Student Union and currently hold the position as Treasurer of the International Vietnamese Students at The University of Melbourne - an affiliated club of the University Student Union. 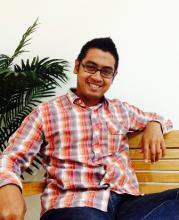 Muhammad Omarsyah studied Marketing for his undergraduate but always had a passion for international affairs. After moving into a position in Foreign Affairs in the Indonesian Government, he felt he needed a broader overview of world politics, economics and regional cooperation which he is now gaining through the Master of International Relations. Tell us about moving to Melbourne - what was your impression of the city and the university in those first few weeks? "The first impression I got was that the city and the university were so cozy and relaxed yet not boring at all, perfect for studying without losing enthusiasm for creativity. The cultural diversity and understanding are also the big plus for the city so it is not hard to find halal food for the Muslims since there are lots of Muslim Indonesia students studying in Melbourne. My tips would be that students should make contacts with other students from the same country (if possible) that came to Melbourne earlier so they can help and teach you how to survive in Melbourne. Access internet and get more info about Melbourne and anything you need eg food, place to live, etc." How will your skills from class help with your career? "Working in Ministry of Foreign Affairs requires a broad knowledge and understanding of many aspects in international affairs. It requires not only hard knowledge that can be found in textbooks, but also soft knowledge like analytical skills and good communication skills, which I acquire from the classes I attended. I hope what I gain during my study will be enough to assist me to progress in my career." What do you enjoy about The University of Melbourne and being on campus? "I think I would say the atmosphere and the environment. I also enjoyed how the transfer of knowledge is more balanced with various point of views during the class. I also joined Indonesian Students Community basketball club, which regularly plays every week. I joined it simply because basketball is one of my favorite sports since childhood." Shabana came from a background in Maths and Physics but moved into the Civil Service in Pakistan to a role most recently in Federal Board of Revenue. After successfully applying for an Australia Award she moved with her family to Melbourne. Her son attends a local school close to the University campus. What interested you about studying Public Policy and Management? "I work for Federal Board of Revenue, Pakistan- a public sector organisation. Very early on in my professional career, I realized that a deeper understanding of various principles of public policy would help me better deal with the "wicked problems" and complex issues that a public sector manager faces on daily basis. Public Policy and Management are ever evolving concepts. A conceptual clarity about different principles of Public Policy and Management can help one make better policy choices." How do you think your studies are helping prepare you for the industry? "All the core subjects that I have studied such as Policy Design, Contemporary Issues in Governance, and Public Management have equipped me with the knowledge of how best to approach policy issues from theoretical as well as practical perspective. This will certainly help me in my profession. At Federal Board of Revenue, I am involved in formulation and implementation of tax policies of Pakistan. What I have learnt here, most importantly, is how to think through very complex issues clearly. This clarity of thought would definitely help me any where I choose to go."